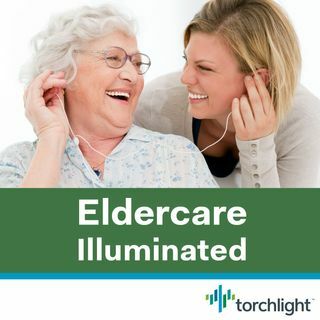 Torchlight’s Eldercare Illuminated empowers family caregivers as they overcome obstacles and navigate the complexities of caring for an ill or aging loved one. Tune in for conversations with top eldercare experts, practitioners, or experienced caregivers who can provide practical advice and hands-on tips designed to help you simplify your life while meeting your loved one’s needs. Want full access to Torchlight’s online caregiving platform, including personalized action plans, eGuides, and ... See More tools? Have your employer contact us! They can find our information at www.torchlight.care. Welcome to Season 3 of Eldercare Illuminated!